Missouri Education Watchdog: Binoculars or Common Core. Which Choice Will Allow Creativity to Flourish and Allow School Districts to Operate on Budget? 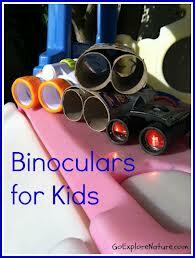 Binoculars or Common Core. Which Choice Will Allow Creativity to Flourish and Allow School Districts to Operate on Budget? The video "Give Your Kids Binoculars and Get Out of the Way" with Neil deGrasse Tyson contains advice on how to get kids interested in science. Spoiler Alert. It has NOTHING to do with the implementation/adoption of Common Core standards or more federal involvement in education. He believes parents (and maybe teachers, too?) should be getting "out of the way" and encouraging children's curiosity. He contends children create disorder in the lives of the adults around them and what do adults do? They stifle the child's curiosity. Will Common Core will help kids explore and feed their curiosity...or just put them in a common box like everybody else? Neil deGrasse Tyson: I'm often asked by parents what advice can I give them to help get kids interested in science? And I have only one bit of advice. Get out of their way. Kids are born curious. Period. I don’t care about your economic background. I don’t care what town you’re born in, what city, what country. If you’re a child, you are curious about your environment. You’re overturning rocks. You’re plucking leaves off of trees and petals off of flowers, looking inside, and you’re doing things that create disorder in the lives of the adults around you. And so then so what do adults do? They say, “Don’t pluck the petals off the flowers. I just spent money on that. Don’t play with the egg. It might break. Don’t....” Everything is a don’t. We spend the first year teaching them to walk and talk and the rest of their lives telling them to shut up and sit down. I was transformed by picking up a pair of binoculars and looking up, and that’s hard to do for a city kid because when you look up you just see buildings -- and really your first thought is to look in people’s windows. So to look out of the space -- out of living space -- and look up to the sky, binoculars go far, literally and figuratively. That’s what got me started on the universe. It might get some kids you know started the same way. With an estimated total of roughly $1.8 million for the cost of the project, the first phase will cost $325,000. The price includes an iPad Mini, a case and basic applications on the device. Students in 3rd grade and higher will be able to take the iPads home. What wasn't mentioned in this article was the move to use iPads is part of Common Core implementation. For approximately 5,000 students in the district, the cost comes out to $360.00 per iPad. A good pair of binoculars cost less than that and they don't have software that becomes obsolete in a few years. But binoculars aren't part of Smarter Balanced Assessment Common Core technology requirements, are they? How much will new applications cost the district? How much insurance will KSD parents have to pay for 3rd graders who have trouble locating their coats much less an iPad? Did KSD understand that the iPads are only one part of required technology by SBAC? This framework provides two levels of technology specifications: minimum requirements for existing devices and recommended guidelines for new purchases. Students using technology that meets only the minimum specifications may experience periods of slowness during the assessment, while technology consistent with the recommended guidelines will likely result in a more fluid testing experience. In addition to the hardware and bandwidth requirements, eligible devices must also have a 10” class screen, a mechanical keyboard, headphones, wired or wireless Internet access, and administrative tools to temporarily disable features, functionalities, and applications that could present a security risk during test administration. The technology specifications apply only to the Smarter Balanced assessments and should not be considered minimum specifications to support instruction, which may require additional technology. Is there any more hardware, bandwith, device, other technological expenses the district will need to incur for Common Core implementation? How much additional money is needed to support instruction? These are questions to ask the district at the June 4 Common Core meeting in Kirkwood and if there is a bond increase wanted by the district, how much this increase is due to Common Core implementation. Those binoculars are sounding better and better. They are cheaper and are student directed as opposed to the top down standardized consortia owned standards and assessments. Dr. Williams, superintendent of schools, is hosting a school/community conversation on Tuesday, June 4 from 6-7:30 p.m. in the North Kirkwood Middle School Library, 11287 Manchester Road. Dr. Williams and administrative services team will answer questions and listen to suggestions from the school community. The community is encouraged to attend.